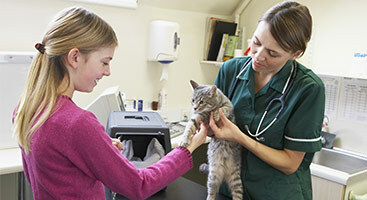 Annual wellness exams are vital for your pet’s general health. It’s a great way to catch minor health problems before they escalate. Beyond a standard physical examination, your vet might also run blood or other tests to evaluate the overall health of your pet. Our exams are Accredited for International and Domestic Travel. Please contact us if you have any special travel needs. Our skilled doctors perform spays/neuters, mass-removals, orthopedic and many other surgeries in-house. If the surgery requires the more in-depth knowledge of a specialist we won’t hesitate to refer you to one of our trusted colleagues. We use the most advanced sterilization and anesthetic techniques in our state-of-the-art surgical suite. We place a small Home Again microchip under your pet’s skin so that in the event your pet is lost, he/she can more easily be returned to you even if they’ve lost their collar. A proper diet is the foundation of a healthy and happy pet. It’s vital that your pet maintain a proper weight and correct nutrition can also manage many medical conditions. Let our staff help determine your pet’s best diet. This one simple factor can prolong a happy life for your best buddy by years! 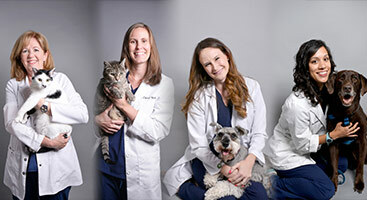 Our doctors and staff obviously love animals and we have spent the better part of our lives devoted to caring for them in all stages of their growth and development. Sometimes they begin to exhibit behaviors such as aggression, excessive barking, chewing, spraying and other nuisances. If you need help correcting these or any other issues please set up a consultation with one of our doctors. We’re here to help! We offer boarding but our space is limited so call to make an appointment as soon as possible! Click HERE to find a boarding form. 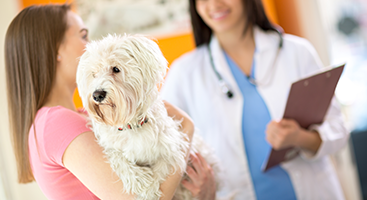 For pet owners “on the go,” we offer both Interstate and International Health Certificates. Call to schedule your pet health certificate examination or to get more information. Complete inventory of pharmaceuticals, shampoos, flea and tick control products, and heartworm preventatives. For more information on our In House Pharmacy click here. For your emergencies during our normal business hours do not hesitate to bring your pet in.Call ahead if possible, and we will give your pet priority and get you in without delay. Outside of our normal business hours we recommend the Emergency Animal Hospital of Northwest Austin (4434 Frontier Trail, Austin TX). Their phone number is 512-899-0955.